Stephen King is headed to television … again. 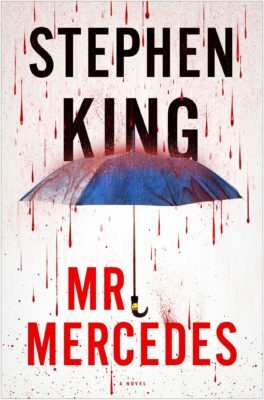 According to The Hollywood Reporter, David E. Kelley will executive produce a new series for Audience Network based on King’s novel Mr. Mercedes. The mystery drama will star Brendan Gleeson as Hodges, with Anton Yelchin playing Brady Hartsfield, “a mentally deranged ice cream truck driver.” Mr. Mercedes is expected to premiere on the Audience Network in 2018. What do you think? Have you read Mr. Mercedes? Would you watch the TV series? More about: AT&T Audience Network TV shows: canceled or renewed?, Mr. Mercedes, Mr. Mercedes: canceled or renewed? I read the Mr. Mercedes series and loved it. I can’t wait to see it come to life!!! Signed “Stephen King fan since birth”.